An oily skin is more prone to acne and skin breakages than normal skin. A person with an oily skin gets the blunt of the sun’s heat much more than a person with a normal skin does. Many people with this kind of skin type still fear to use products on their faces because of the fear of more aggravation. However, protecting the skin comes with more benefits than letting it stay bare. Everyone wants to protect his or her skin against the harsh sun’s rays and heats. Other damaging environmental factors can also aggravate skin problems even more. Majority of the normal sunscreens in the market have very thick formulations that add grease to the layer of the skin. This factor alone makes it difficult for people with oily skin to find the perfect sunscreen for their kind of skin. The other factor is that the market has thousands of products with claims that they protect the ingredients protect every kind of skin type. This is usually not the case. 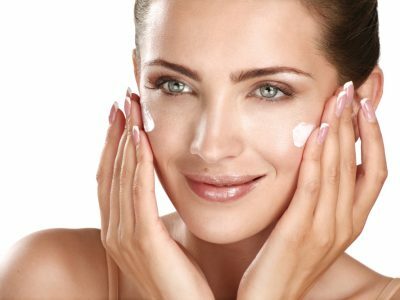 Sunscreens for oily skins have particular ingredients that only work well with the oily skin type. What people with oily skin need is not only a product that will protect their skin from the sun but also one that will keep it healthy and nourished. They need sunscreen that can complement their skin and fight the damages that come with having an oily skin. 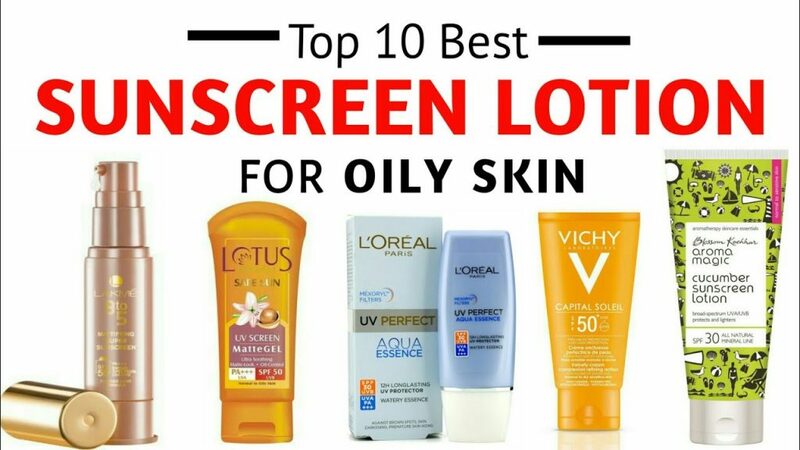 Luckily, we have reviewed some of the best sunscreen in the market and come up with our top picks of the best sunscreen for oily skin. All the products are dermatologist approved; contain SPF and UVB/UVA protection, with majority of them recommended by the Skin Cancer Foundation. They have lightweight formulas, wonderful matte finishes and they are oil free. They also have ANTI-AGING formulas that ensure your skin stays soft, smooth, young and healthy at all times. The following products will not clog your pores and you can wear them seamlessly under your makeup and foundation. If you are looking for that invisible protection against the sun, environmental damage and free radicals then choose any of the following products and change the look of your skin. With a broad spectrum of SPF 30 protection, Cetaphil Dermacontrol Facial Moisturizer is one of the best sunscreens for oily skin. The moisturizer is lightweight with soothing and very effective ingredients. The much acclaimed and sought after sunscreen moisturizer has a non-greasy fast acting formula that moisturizes oily and acne-prone skins. Recommended by the Skin Cancer Foundation, this moisturizer uses Oleosome Technology, which helps to provide the skin with hydration and minimize irritation. The technology provides UVA/UVB protection and minimizes the greasy after-feel of traditional sunscreens leaving the skin smooth. The sunscreen delivers long lasting and fast acting effects that diminish the oil on the skin leaving your face grease free and with a shiny MATTE finish. The moisturizer also uses Micropearl Technology alongside ingredients such as licorice root extract, patented Ceramide, ALLANTOIN – used in many skincare products to moisturize, treat and to prevent skin damages such as itchiness, scaling, dryness, burns from the sun and heat radiation, flaking and others. It is hypoallergenic, non-comedogenic, non-acnegenic and does not contain any harsh chemicals. For best results, use the moisturizer after cleansing the skin with Cetaphil Dermacontrol Foam Wash.
La Roche-Posay is a popular brand recommended by 90,000 dermatologists worldwide. The company offers quality skincare products all developed with thorough clinical testing and a strict formulation charter. The products are safe, effective and ideal for all skin types. The Anthelios AOX face sunscreen has a broad spectrum of SPF 50 protection. Formulated with exclusive Cell-OX Shield technology, the sunscreen also has UVA/UVB filters and Antioxidants that protect the skin while at the same time nourishing it at all times. The sunscreen helps to improve the skins fine lines, texture and dark spots leaving your face flawless. It corrects the aging signs giving you a youthful look with a smooth feel. The sunscreen in lightweight and does not feel sticky on the face. It is non-greasy, dermatologist tested, hypoallergenic, parabens free, fragrance free and non-comedogenic. The sunscreen is non-irritant and therefore ideal for all skin types. Wear the sunscreen under your makeup or on its own. For best results, apply the sunscreen 15 minutes before going out into the sun and reapply after 80 minutes of swimming. The sunscreen is not ideal for children under the age of 6 months. 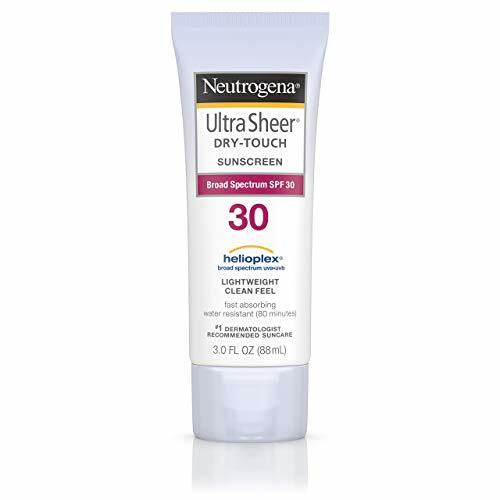 Neutrogena Ultra Sheer Dry-Touch Water Resistant and Non-Greasy Sunscreen Lotion is one of the most powerful sunscreens for oily skin in the market today. 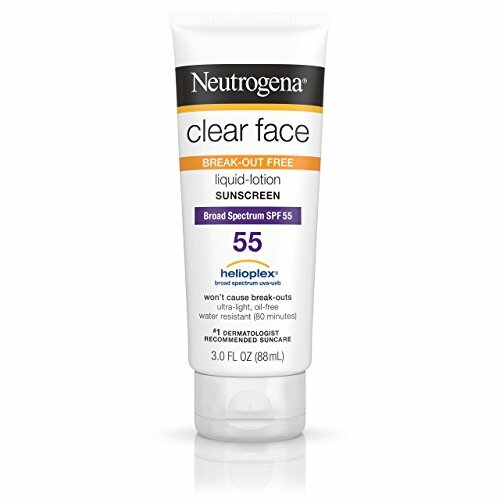 With a broad spectrum of SPF 45, the sunscreen lotion uses dry touch technology to penetrate into the skin fast to provide it with an ultra-light feel and a clean shiner-free finish. Formulated with Helioplex Technology, the lotion also offers protection against the aging of the skin caused by burning UVB rays and UVA rays. The lotion is ware resistant and fast absorbing. It is PABA free, non-comedogenic, and non-greasy. You can wear the sunscreen under makeup or wear it without any makeup. The best time to apply the lotion is within 15 minutes before exposing your skin to the sun. You can also apply the lotion after swimming or too much sweating to protect the skin. Keep the lotion away from your eyes and out of reach for the children. If you have broken skin, do not use the lotion. Dermatologists, plastic surgeons, medical clinics, and other skin care professionals worldwide use Obagi Medical products for the treatment of various skin problems. The company makes products that help with hyperpigmentation, sun damage, anti-aging, and other skin conditions. Some of the Obagi Medical products are prescription only while others are available OTC. The shield matte sunscreen has a broad spectrum of SPF 50 and UVB/UVA protection. The sunscreen is rich in Octinoxate and ZINC OXIDE – a primary ingredient in majority of sunscreen creams and lotions, which helps to protect the skin from the harmful effects of ultra violet rays. Both ingredients provide an elegant matte finish to the skin. It is lightweight PABA-free, fragrance free, sheer and ideal for all skin types. The cream also protects the skin from the aging signs by minimizing the fine lines and wrinkles giving it a youthful look. It is non-greasy and perfect to wear under your makeup. You can also wear the sunscreen as a foundation and it is ideal for daily use. Dermatologic Cosmetic Laboratories (DCL) has been in existence since the 1980’s. The company develops potent formulations with quality ingredients that treat hair and skin issues. One of the things that make the company stand out is the use of glycolic acid in their products. Though many other companies use the same ingredients in their products, DCL was the first company to start using the ingredient in their products. The Total Skin™ approach of the company focuses on strengthening, protecting and nourishing the skin and its components. DCL products are all rounded and holistic in all their functions. Besides nourishing, protecting and strengthening the components of the skin, the products also clarify, replenish, refine and repair the skin. They also prevent further damage from affecting the skin and always offer long lasting results. The super sheen sunscreen follows the same principles of the company. 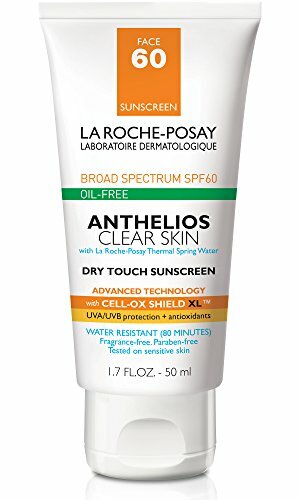 It is one of the best sunscreens for people with oily skins. The sunscreen has abroad spectrum SPF 50 and UVA/UVB protection. The sunscreen has antioxidants, hydrators and anti-aging properties that ensure the skin stays hydrated and young all the time. The same ingredients also protect the skin from further damage from the environment. The main ingredients are Zinc Oxide, and OCTINOXATE- an ingredient used by many skincare product manufacturers to keep other ingredients fresh and to allow the skin to absorb them more effectively. . The product is fast absorbing, lightweight, and sheer and gives a matte finish. You can wear the sunscreen as a primer for your makeup or wear it on its own. It does not clog the pores, as it is non-comedogenic; it is hypoallergenic, parabens free and does not contain any harsh chemicals. Other notable ingredients that go into making the sunscreen and out are Vitamin C, Grape Seed, Sodium Hyaluronate, Vitamin B5, Aloe Vera, Green Tea, and an Advanced Moisturing Sugar Cane and Maize Complex. It is ideal for all skin types. When it comes to making quality and trusted skincare products, PCA skin is highly innovative and results oriented. All their products offer solutions for different skin conditions and they come with great reviews, the weightless protection broad spectrum is one of the top products and it comes with recommendations from the skin cancer foundation. The broad-spectrum sunscreen is lightweight and fast absorbing with UVA protection. It provides a light finish and has a number of quality ingredients that keep the skin hydrated, strong and protected. The active ingredients that make the sunscreen are Zinc Oxide, which provides broad spectrum and UV protection, Silybin – an antioxidant from the milk thistle plant that protects the skin from UV damage, Octinoxate that absorbs and filters UV rays and finally Caffeine – an antioxidant that protects the skin from UV damage. For best results, apply the sunscreen a few minutes prior to exposing your skin to the sun reapply the sunscreen after every two hours if you continue staying out in the sun. You can use the sunscreen daily as a primer for your makeup. The product is cruelty free and does not contain any harsh chemicals. It is ideal and safe with all skin tones. TIZO 2 – Non-Tinted Facial Mineral Sunscreen has an SPF 40 and it is one of the Best face sunscreens for oily and sensitive skins. The dermatologist-recommended sunscreen has a sensitive skin formulation and a cosmetically elegant matte finish. It is gentle and you can use it for post-procedure. The sunscreen is also a great base for makeup and FOUNDATION. The sunscreen formulation is free from fragrances, oils, preservatives, dyes, and harsh chemicals. It does not cause any irritation even to those with sensitive skins.it also contains UVA/UVB protection and the main ingredients are Titanium Dioxide and Zinc Oxide. The sunscreen provides an elegant velvety matte finish. Jan Marini is another quality and very effective sunscreen for people with oily skin. With a broad spectrum of SPF 45 and UVB/UVA protection, the sunscreen acts as a sunblock for oily skin, protecting the skin from any damage. Unlike many other sunscreens that have their chemicals absorbed in the skin, Jan Marini uses physical filters to protect the skin from premature aging and the sun’s rays. Also unlike many other sunscreens that have white cast mineral, this sunscreen has a slight tint that is sheer and very gentle for people that are sensitive to synthetic materials in sunscreens. The formula of the sunscreen contains antioxidants that give the skin protection against damages from the environment and free radicals. The sunscreen soothes the skin from the sun’s heat. It is water resistant, which means you can use it for your outdoor activities. The product also contains Titanium Dioxide and Zinc Oxide as the most active ingredients. Other ingredients are Green Tea Extract, and Alpha Bisabul. The sunscreen contains an oil capture system that has tiny absorbing particles for effective oil control and CoEnzyme Q10. It is ideal for normal to oily skin, sensitive skin and acne-prone skin. UV FACIAL Sunscreen SPF Face Lotion has an ADVANCED PROTECTION BROAD SPECTRUM SUNSCREEN SPF 30 that protects the face from environmental damages and the suns heat. The sunscreen has specially blended ingredients that work in harmony to protect the skin from some of the most common problems such as skin redness, peeling of the skin due to the suns heat, rough skin, and acne. The main ingredient is Zinc Oxide and the other ingredients are Japanese Green Tea, Vitamin, Licorice, Ginseng and Gingko Biloba. The sunscreen is oil-free and you can use it daily to protect and revitalize your skin. It is makeup friendly and you can wear it under your favorite foundation or makeup for a smooth application. The sunscreen gives your face a smooth and neat matte finish. With a broad spectrum of SPF 30+, Paula’s choice- CLEAR Ultra-Light Daily Fluid is a great sunscreen for people with oily skins and clogged pores. The texture of the sunscreen is water light and shine-free. This provides a finish of sheer perfection. The sunscreen not only protects the skin from the sun but also improves the skins uneven tone. It helps to soften the look of the enlarged pores and fights of the skins aging signs. The result is a smooth, soft, silky skin that feels clean, hydrated and healthy. The sunscreen contains hydrators and anti-oxidants that help to calm and soothe the skin. The ingredients help to minimize dryness and skin flaking. The sunscreen is fragrance free and cruelty free. When you think about the different ways to take care of your skin, sunscreen should always be a part of the regimen. It helps to shield the skin from the sun and other environmental damages, to keep it looking younger for longer. The sun can damage the skin especially for people with oily skins who besides having a greasy face also have to contend with outer problems like acne, clogged pores and fine line. Many people choose sunscreens with the wrong formulations for their specific skin types. The thing people need to understand is that sunscreens are as different as there are skin types. What works well with normal skin does not do the same with dry or oily skin. We hope the above products, which are dermatologist and skin cancer foundation approved, will help you to make the right choice when buying your next sunscreen. Pay more attention to the ingredients and the health benefits.